Social networks and vaccination: Facebook friends can influence politics, vaccination decisions. A forthcoming study found that parents took the pulse of their “people network” when deciding whether to vaccinate their children. Like money, fire, and pop music, social media is not in itself evil. If you have been using it for any length of time, then you know its highs and lows: both its ability to spread hate and its resounding capacity for love. But what about its role as a provider of information? Are we smarter in the buzzing heart of the swarm? The answer, of course, is that it depends on the quality of your network. A study to be published in the Journal of Pediatrics in May revealed that parents took the pulse of their “people network” when deciding whether to vaccinate their children according to the Centers for Disease Control immunization schedules. When making this decision, more than one-fifth of those polled did not list a doctor or pediatrician among their top five network influencers. This included both those who followed the guidelines and those who didn’t. Researchers also found that a parent’s likelihood to follow the vaccination schedule plummeted when most of his or her network recommended against it. Of the “nonconformers”—those who delayed vaccines, partially vaccinated, or did not vaccinate at all—72 percent reported that friends and family encouraged them to go against the CDC’s recommendations. But among those who followed the guidelines, just 13 percent noted resistance from their network. 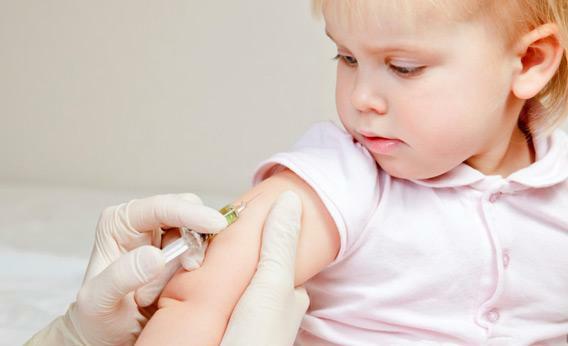 Vaccines are a hot-button topic rife with misunderstanding, but this is far from a new idea. Humans have been making bad decisions in groups since the beginning of time. (See: Salem witch trials.) The difference now is that social media has greatly magnified our ability to spread information—as well as misinformation and disinformation. If your network of friends, family, and co-workers are a bunch of idiots—no offense—you might be at risk of being influenced by their idiocy. OK, idiot is a sharp word. How about “irrational group behavior”? That’s how researchers in a paper in the journal Metaphilosophy refer to the distortion of facts and wild opinion swings seen on social media today. Particularly, they say we may be doing democracy and open dialogue a disservice by limiting our worldview—say, by unsubscribing or unfriending people on Facebook and other social media sites with dissenting opinions. “In online forums, [group polarization] is made even more problematic by the fact that discussions take place in settings where group members are fed only the information that fits their worldview, making the discussion forum an echo chamber where group members only hear their own voices,” said philosophy professor Vincent F. Hendricks in a University of Copenhagen press release. In the end, your social network is only as intelligent as the people you are connected to. Hendricks and his colleagues argue you make it more robust by allowing diversity of opinions—even if those opinions make you want to defenestrate your loved ones. Being a savvy researcher and not taking your information from stories “the government doesn’t want you to hear” helps a bit, too. But when it comes to protecting our babies from totally preventable death, maybe we should start by keeping a doctor nestled firmly among those top five influencers. You can even get a second opinion—just make sure that one’s from a doctor, too. Remember, Facebook does not equal peer review.